Announcing a price drop on 144 East Street, a 1,728 sq. ft., 2 bath, 3 bdrm 2 story. Now $217,900 CAD. • 1,782 sq. ft., 3 bath, 3 bdrm 2 story “Semi” – $162,900 CAD. 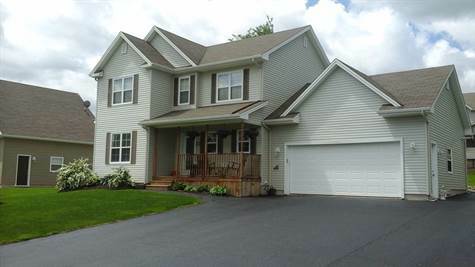 Fox Creek, Dieppe – IF STYLE, SPACE, CONVENIENCE AND PRIVACY & RELAXATION SOUND APPEALING TO YOU, THEN LOOK NO FURTHER! You can get all of this for a great price! 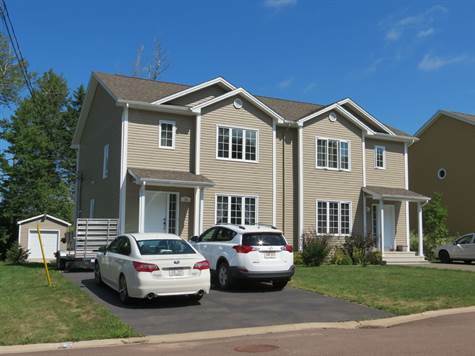 Located in a newer subdivision in Dieppe, this 5 yr. old semi sits on a beautiful treed lot. The layout gives you a feeling of spaciousness and openness! The main floor features a large living room open to kitchen and dining area. There is also a half bath on this floor. The 2nd floor offers a large master bedroom with walk-in closet and entry to the main 4pc bathroom. The separate laundry room is also conveniently located on the 2nd floor along with the other 2 spacious bedrooms. The basement features a large family room and a 3pc bathroom and lots of storage. Your backyard is a true delight featuring a large screened gazebo with extension for the hot tub. You’re covered and can enjoy all year round. There is also an attached uncovered deck for barbecuing and sitting, as well as a large storage shed with garage-style door. 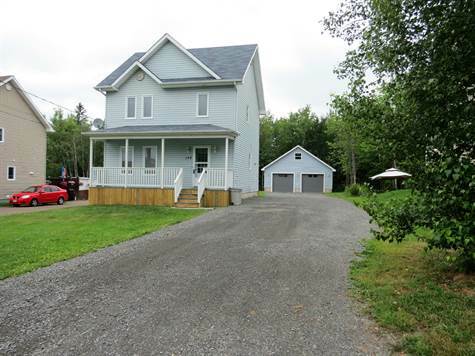 Other features include central vac and accessories, double paved driveway and super neighbours! Call today for your personal tour! • 2,742 sq. ft., 4 bath, 4 bdrm 2 story – $274,900 CAD. Champlain Gardens, Dieppe – IMMACULATE CLIMATE CONTROLLED HOME IN POPULAR CHAMPLAIN GARDEN AWAITS NEW FAMILY! 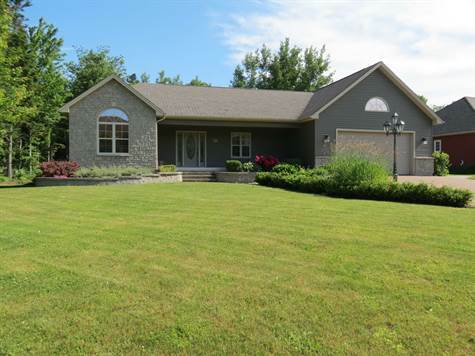 This property sits on a beautifully landscaped lot in a quiet neighbourhood in Dieppe. The property shows pride of ownership the minute you walk in. On the main floor you will find a large entrance, open concept kitchen, den and dining area, living room with natural gas fireplace, half bath and a mudroom/laundry just off the garage entrance. The kitchen offers a beautiful backplash with stainless steel hood fan venting outside. The 2nd floor features 2 good size bedrooms and a large master bedroom with 4pc ensuite and walk-in closet and a family bath. The basement is completely finished with family room, play room, 4th bedroom, 4 pc bathroom and storage/ laundry (hook-up) area. There is also a good sized screened porch to enjoy 3 seasons of the year. There is a large attached garage 22×24 and extra wide paved driveway. Many extras included with this property: Natural gas, AC, Natural gas hook-ups (2 BBQ’s, kitchen stove, dryer+ water heating) with electric option still available, electric air purifier integrated in the forced air system,crown moldings throughout and central vac. This property offers tremendous value for the price and is sure to please! Call today for your private visit. Announcing a price drop on 48 Andréa Court, a 3,400 sq. ft., 3 bath, 4 bdrm single story. Now $419,900 CAD. Posted on August 8, 2016 Categories Buying, Real Estate, Real Estate TipsLeave a comment on How Much Time Should You Spend Viewing Homes?